Whenever anyone mentions Bristol, I always manage to throw The Stock Exchange Bakery into the conversation. 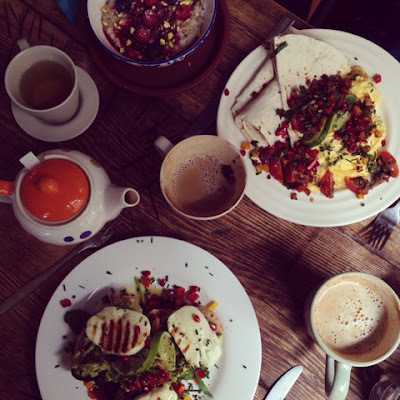 It's only the best place for brunch in the world. I've written about this gem before but I'm going to tell you about it again because it's all I've been thinking about since the weekend. 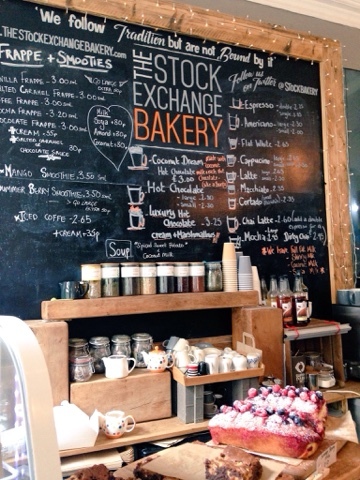 Hidden away on St Nicholas Street, a stone's throw away from the market, you will find The Stock Exchange Bakery. It's fairly normal from the outside but step in and take a peek at their Chelsea buns and you will know you're on to a winner. We sat in the corner and oogled over the menu wanting every dish on there. 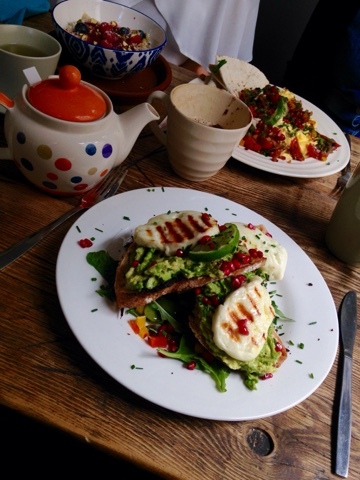 After much deliberation, I went with the avocado on sourdough toast with grilled halloumi - all of my favourite things on one plate. You have to go up to the counter to order which is full of fluffy pastries, doughy bread things and plump slices of cake. I had one eye firmly on the Death by Peanut Butter Brownies. Thick chunks of sourdough lathered with perfectly seasoned, smushy avocado and slabs of melt in the middle halloumi, all finished with a zingy smack of lime and pomegranate to tickle the taste buds. 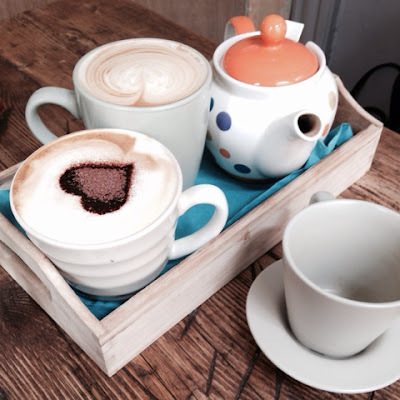 It's the place of brunch dreams and I can assure you it's worth the train journey for their mugs of coffee alone. 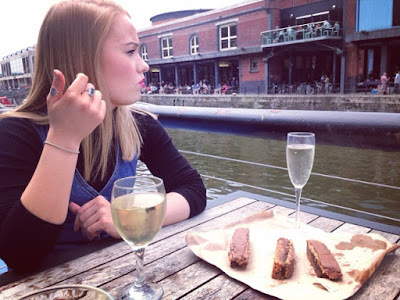 You will leave feeling full up, satisfied and with something weighty and delicious under your arm - I came away with fresh bagels and peanut butter brownies that we enjoyed with a glass of vino by the water. I think this is quite possibly the best way to spend a Saturday. A bakery with a good brunch - sold! I've been looking for somewhere like this in central Bristol (usually trek up Park St for a Boston Tea Party). Jamie, you would love it! check it out next time you go :) I also do love Boston Tea Party too though!